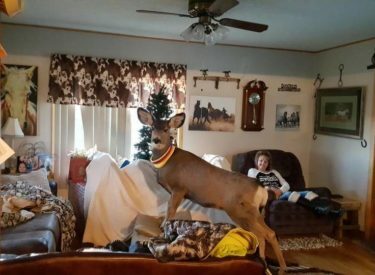 Kansas is working on new guidelines for how to handle situations where a wild animal is being kept as a pet after game wardens were criticized for shooting a family’s pet deer. It is illegal in Kansas to keep a wild animal as a pet. Wildlife officials said they shot the Mark and Kim Mcgaughey family’s deer out of concern it could hurt people or spread disease. Robin Jennison, secretary of the Kansas Department of Wildlife, Parks and Tourism, says the situation could have been handled better. He wants new policies for similar situations in place quickly.